In New Zealand, it rains. A lot. Even in summer. Even when the forecast tells you otherwise. Even when there was a drought this time last year. The only thing you can be ABSOLUTELY CERTAIN about – is that no matter what, you can’t change the weather. It will be what it will be. 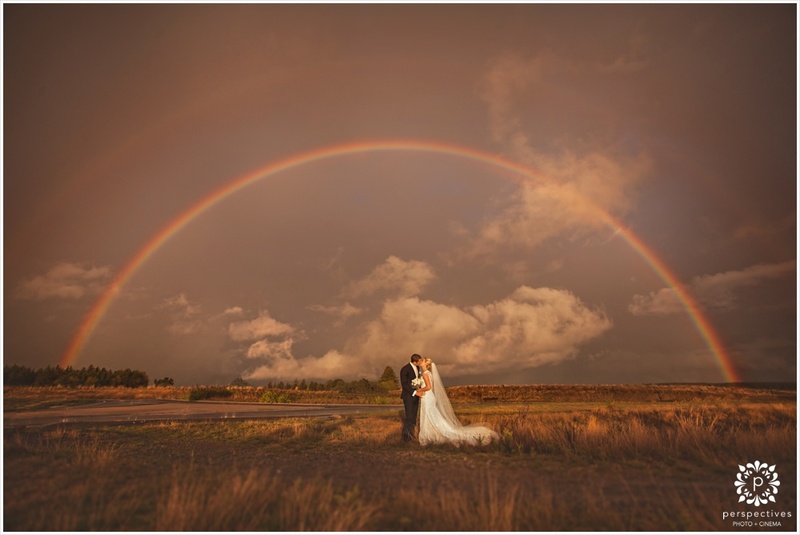 And if fatalistic acceptance isn’t quite your thing… here’s 5 reassuring things to help set your mind at ease and be excited about rain on your wedding day. blown up plenty of equipment while practicing; and now can pull these shots off any time, any place. It’s no secret that overcast, cloudy skies makes for soft, pretty flattering light. It’s much easier to photograph in than on a harsh sunny day. There’s no squinting, no panda eyes from the harsh sun and no sunburn! With rain, comes clouds. With clouds, comes drama. It might be Plan B… but usually moving indoors pulls everyone closer, and everything is more personal & intimate. 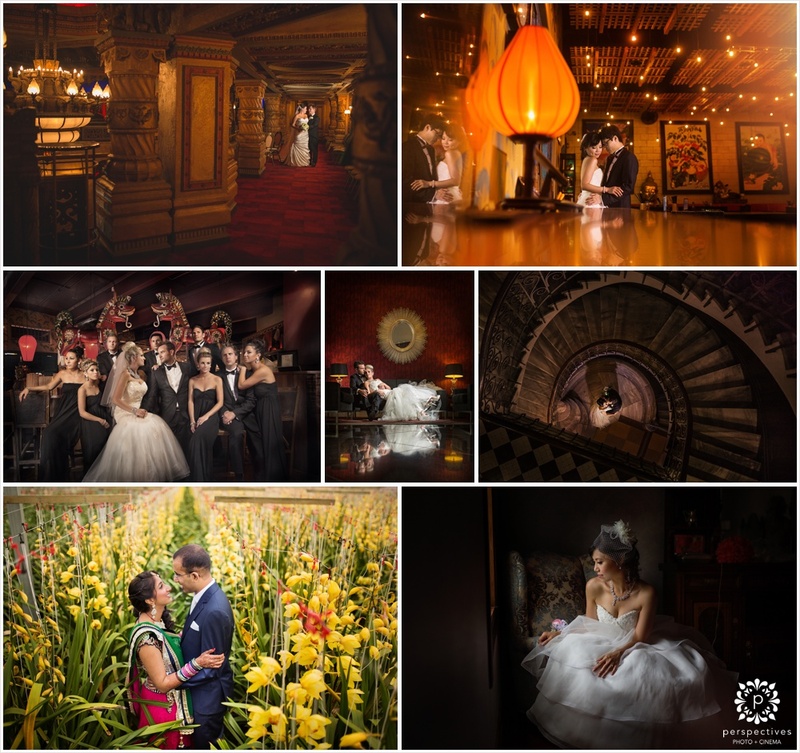 so rain can give you the chance to get some cool, glamourous, indoor photos. I know we said 5 reasons. You get 6. Because, rainbows. So there you have it. Don’t stress about rain – you can’t change it – but you CAN change how you react to it. 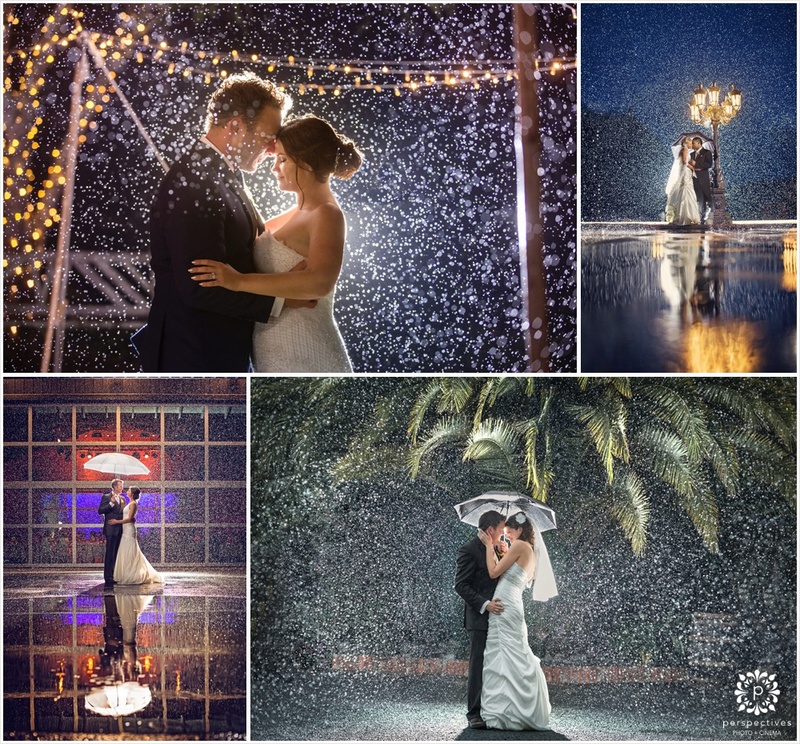 Enjoy your wedding day, live it up, dance in the rain – and have the best freaking day of your life. 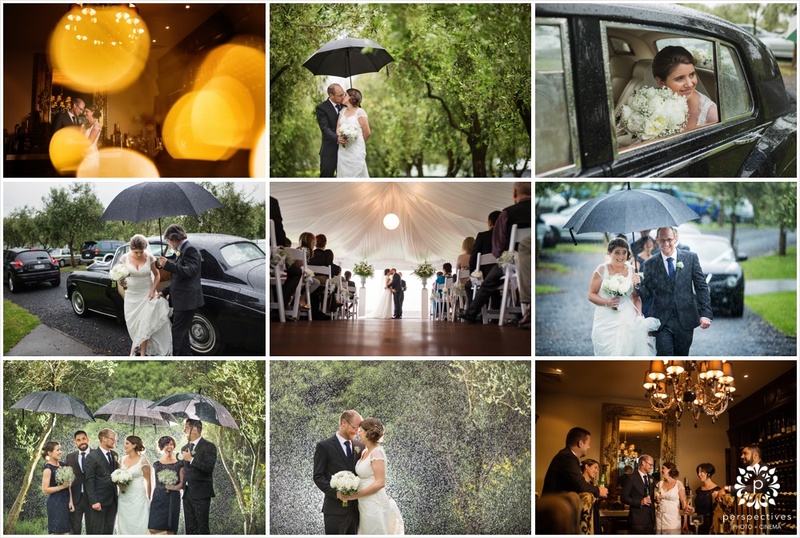 Want to see more rainy day weddings?? Click on any of the names below to see their full blog post. 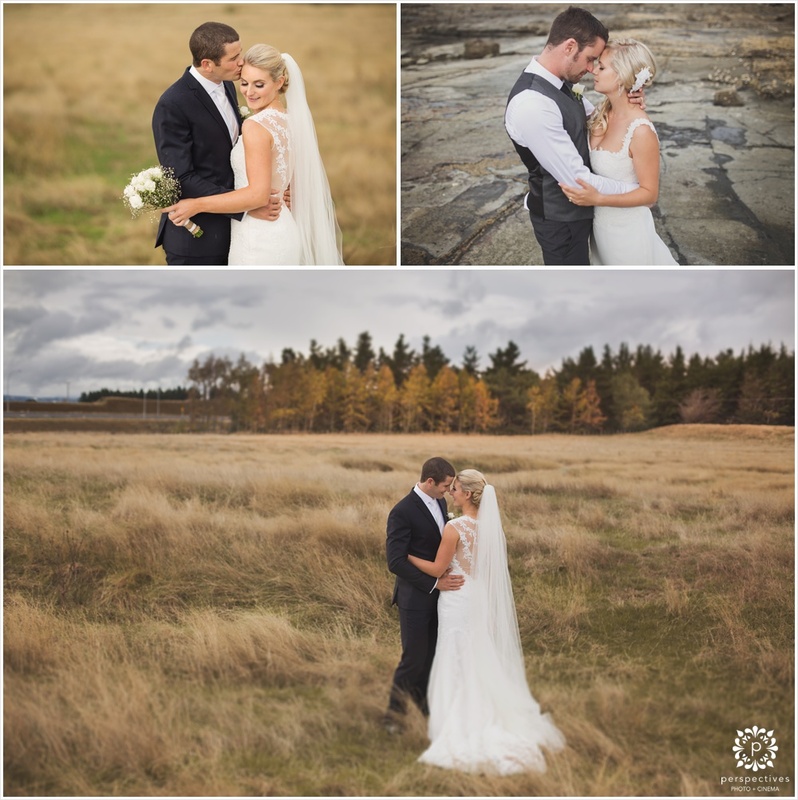 Bex and Gareth had been planning their outdoor wedding ceremony for 18 months. Trees had been cut down, irrigation laid, grass meticulously sown and cut. There never really was a Plan B. 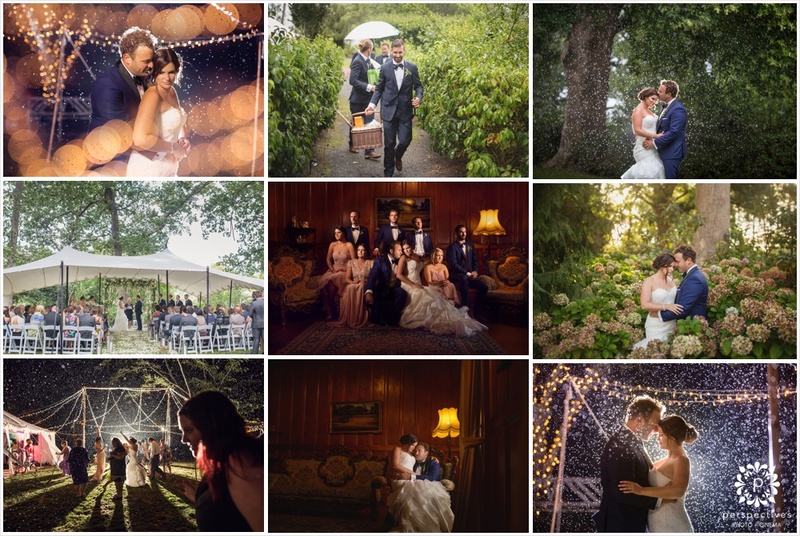 So when we started watching the rain approaching on the radar – at precisely the moment their ceremony was about to take place – phone calls were made, and a marquee rushed in, so they could be married in the glade they had put so much time and energy into. 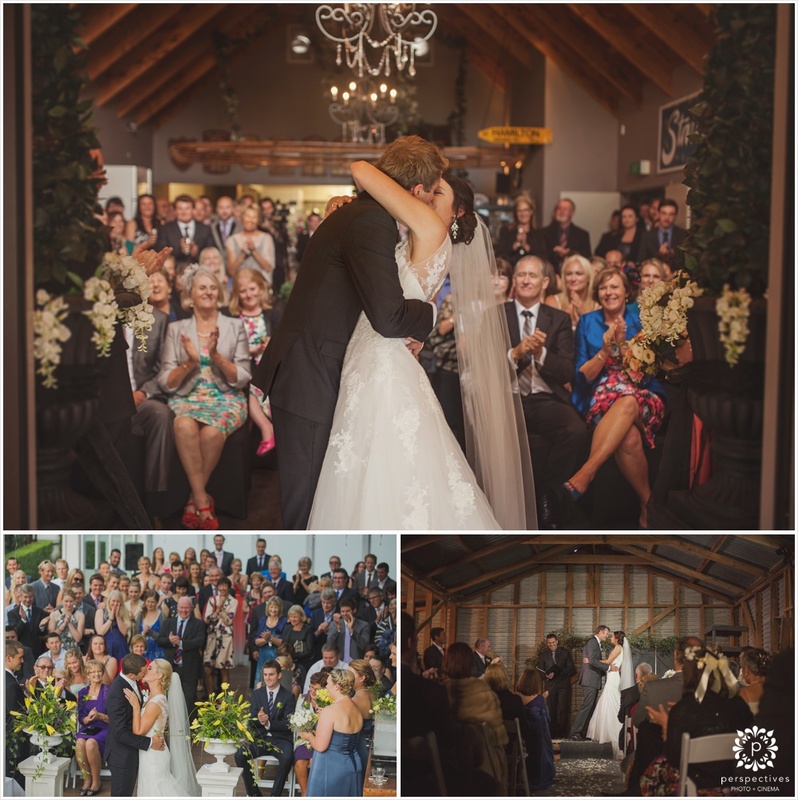 With only moments to spare they made it through their ceremony – as we all made a dash for cover. We really did experience four seasons in one day – but we were prepared every time the weather made a change and made the most of it. That was before Trent and Connie’s wedding day. When the rain did stop. Not even for a moment. 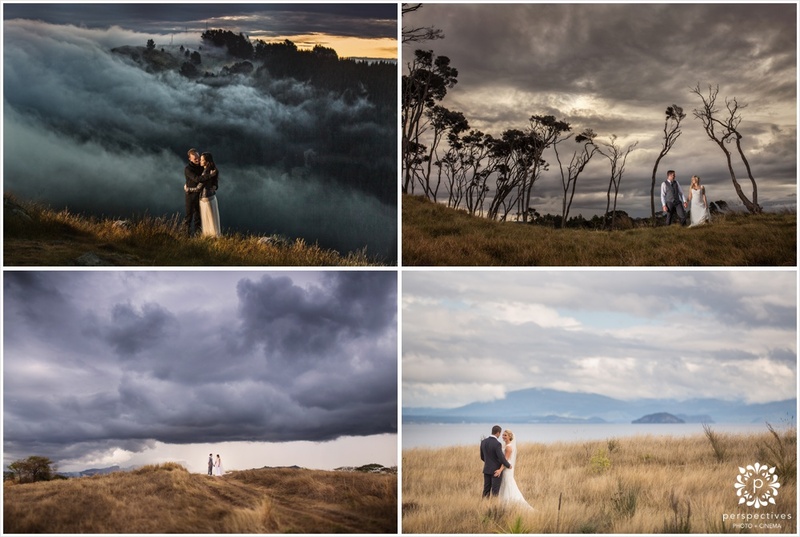 But with a bridal party as brave as they were by their side – the rain didn’t make one bit of difference for them. After an entire day of rain, drizzle and not even a glimpse of sunshine… when the sky started to glow ever so slightly, we had to make the call. This could be something epic – or it could just fade to night. So we put it to Jackie and Nathan – would they like to come adventuring with us? They said yes. And someone up there was listening and decided to reward their bravery with not only a breath-taking sunset – but a rainbow. Know someone who needs to read this? Share away! 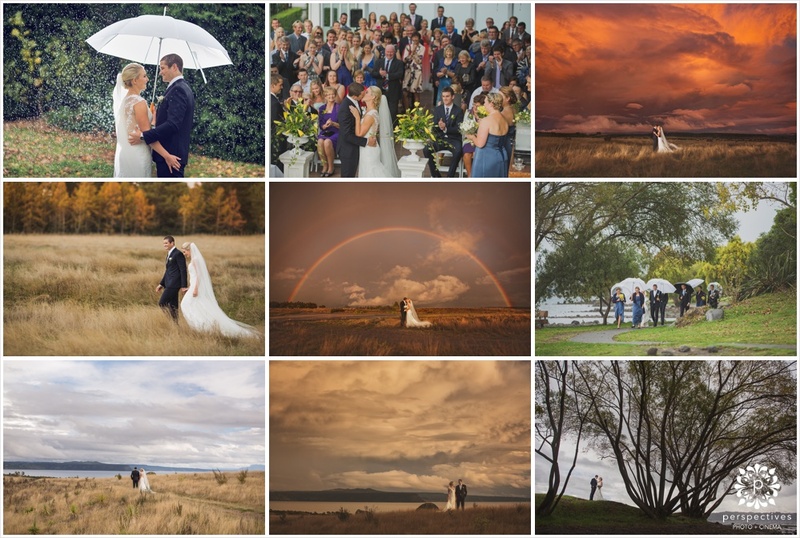 You can also click on the “rainy day” weddings tag at the bottom of the blog, to see more.